We all know that auto insurance rates in Michigan are sky high, but now a new study shows just how unaffordable they are. Joshua Rivera is one of the co-authors of U of M's study by Poverty Solutions. He says they wanted to see how auto insurance rates affect the pocketbooks of Michigan families, so they compared rates in every Michigan zip code to the income in that community. 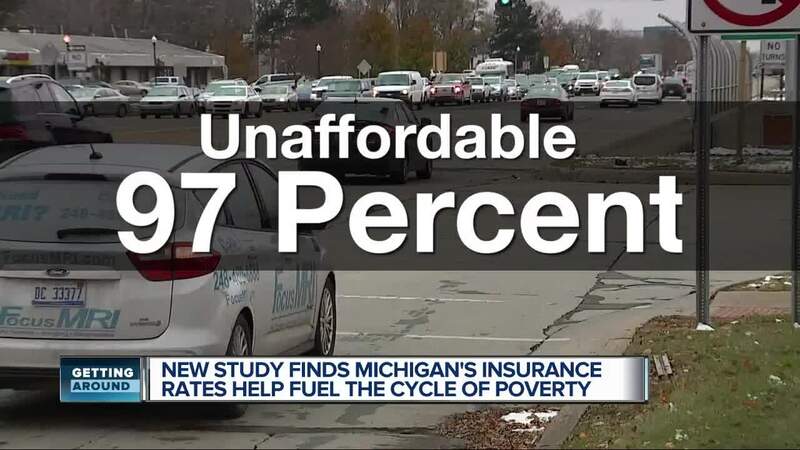 (WXYZ) — We all know that auto insurance rates in Michigan are sky high, but now a new study shows just how unaffordable they are. Joshua Rivera is one of the co-authors of U of M's study by Poverty Solutions. He says they wanted to see how auto insurance rates affect the pocketbooks of Michigan families, so they compared rates in every Michigan zip code to the income in that community. They they found the rates are considered "unaffordable" in 97 percent of the zip codes. So what can be done? Rivera says one solution is to address no fault insurance and allow more choice to drive down cost. He says there's an open invitation to legislators or policy maker to walk through what they found and find ways to get to a solution.